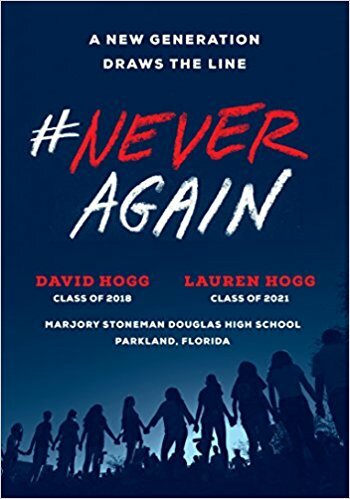 #NeverAgain: A New Generation Draws the Line by David Hogg and Lauren Hogg. New York: Random House, 2018. $10.00. Pp. 165. Since the election of Donald Trump, a remarkable outpouring of spontaneous protest has occurred. It began with Women’s March on Washington on January 21, 2017, the day of Trump’s inauguration, when 800,000 people showed up in the nation’s capital and thousands more demonstrated in 408 cities across the country on behalf of women’s rights, immigration rights and health care. Weeks later spontaneous protests occurred at airports against Trump’s immigration ban. In February 2018, rank and file insurgent teachers prompted strikes in West Virginia, Oklahoma and Arizona, all red states that had gone for Trump, and other teacher protests occurred in Kentucky, North Carolina and Colorado (red states) and a school bus drivers in Georgia also walked out. Parallel with these actions were the spread of Black Lives Matter, protesting police shootings of young Black men, and the Me Too movement against sexual harassment and sexual assault. This week inmates at the Lee Correctional facility, a maximum security prison in South Carolina, went on strike. The most unusual of such actions occurred after a young man shot up the Marjory Stoneman Douglas High School in Parkland, Florida, on February 14, 2018, and killed seventeen students and staff and wounded seventeen others. Soon after, some students at the school began organizing themselves, demonstrating, and demanding gun control legislation. Three days after the shooting, a rally in Fort Lauderdale drew hundreds of participants. The student actions helped force the Florida legislature to pass legislation that raised the age of gun buyers from 18 to 21 and required waiting periods and background checks for gun purchases. The students called their movement #NeverAgain. The student movement initiated a call for a March For Our Lives demonstration in Washington, D.C., on March 24. It drew 800,000 participants, making it one of the largest protests in the country’s history. 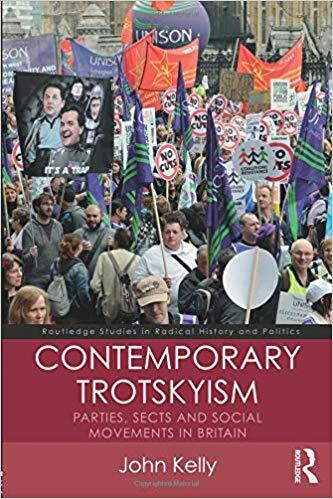 However much a sign of capitalist crisis and popular discontent, spontaneous protests unconnected to revolutionary theory and organization invariably peter out, repressed, diverted or co-opted. This was the fate of the Occupy Wall Street movement. It exploded on the scene with the dramatic occupation of a park in New York City on September 17, 2011 and for months focused national attention on income inequality before fading away due to police repression and anarchist misleadership. For this reason, the recent book by two activists of #NeverAgain, the brother and sister, David Hogg and Lauren Hogg, bears examination. 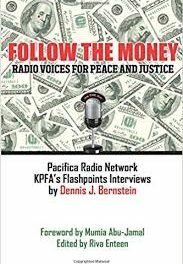 This thin volume is a memoir of of their lives before, during and after the Parkland massacre, and of the influences that shaped their consciousness and pushed them into political activism. One is struck by the normality of their situation before the shooting—white, suburban, well-educated, and economically secure. (Their father is a retired FBI agent.) Their very normal and even cosseted lives make their evolution into political activists all the more striking. It suggests that their common decency, self-awareness, social understanding and radical impulses are more common than we suppose. The major political influences on their lives were no more left wing than some very good, progressive teachers, such TV personalities as John Oliver, such web sites as Vice News Tonight and Vox, and such books as The Glass Castle. Yet, their outlook is completely free of religious or patriotic cant and is remarkably sensitive to racial and class inequality, to the environmental threats, to the destructiveness of the military budget and imperialism, and most of all to the corruption of our political system by corporate money. After the shooting, the students’ call for gun control produced a tremendous awakening about the reality of politics in the U.S. today. The students issued a “Parkland Manifesto,” nine modest demands for gun control and the encouragement of people to register and vote. The attack from the right was apoplectic. Wayne LaPierre of National Rifle Association, such right-wing commentators as Alex Jones and Laura Ingraham, and bloggers and trolls, and even indirectly Trump himself attacked the students’ character, motivations, and intelligence, and accused them of being “crisis actors” and part of the deep state conspiracy against the president. Not surprisingly given their sheltered lives and limited influences, the Hoggs do not show any awareness of capitalism as a system, class analysis or socialism. Still, the elements of such consciousness is present in their thinking and not far from their grasp. Their intelligence and determination should give us all hope. Recently, some survivors of the Sandy Hook massacre in 2012, many of whom are now in high school, have been so inspired by the actions of the Hoggs and their fellow students of #NeverAgain that they have formed their own organization to join the fight for gun control. The spontaneous rebellions of the last year and a half show no sign of abating.